I’m on my heatie time at the moment..otherwise known as ‘in heat’, ‘in season’ or something to do with the moon! I need more rest, extra naps and cuddles. I see just one or two girlfriends for playtime at a very early hour on the beach, only for a few mornings during this time. I release some droplets of blood every so often, but I clean that all up and wash myself lots so its not such a big deal. I do a lot more power walks on lead with Vikki, very early in the morning and very late at night, when everyone else is still sleeping (that way I still get my exercise and explore time). I tend to sniff and pee a lot more….I can’t help it. We drive to where we are going for a walk so I can sniff different things and where I can leave as many pee-mails as I want without a concern that boy dogs are going to know where I live! I don’t do as much home-learning sessions and no classes, since its the time to take things nice and easy. Vikki and I will hang out more at home between the walks. You see, I will be attracting the boys who are programmed to follow the girls ‘in heat’ since this is the time to make puppies. I’m ready for our date Zola! 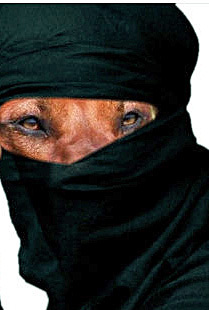 During heatie time, I have to be careful and keep a low profile, preferably in disguise, so that I do not attract the wrong attention from the local boys! 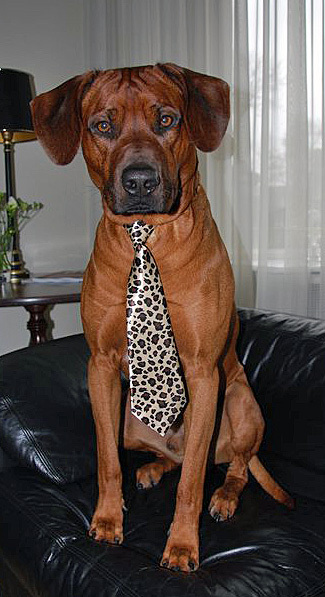 This entry was posted in Dog Health, Home Life, Rhodesian Ridgeback and tagged dog health, dog life. Bookmark the permalink. Well, the extra cuddles and attention sounds nice. 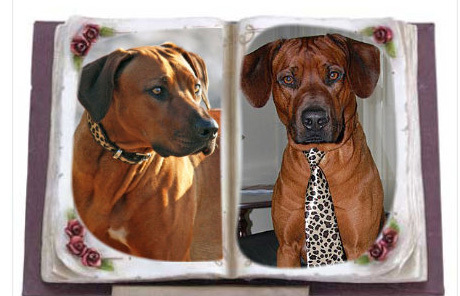 I’m sure it’s a short matter of time before a handsome ridgeback boy sweeps you off your feet and you elope into the sunset! The blood thing sounds like a chore though. =s I don’t know because I had my girl bits removed before my first heat! Momma-1 says if I had to do that, I would probably be a messy girl and leave little droplets on their shoes as early morning surprises. Hehe! Well take it easy! I’m sure it’ll be a short matter of time before you’re out playing with all your friends again. I hope it passes quickly and smoothly for you. Glad I not a girl! You know, I am now waiting for my usual fake pregnancy… it is about time, two months from the cycle… heat… or… well, you know what I am talking about perfectly!!! Do you have false pregnancies also or are you a better girl than me? 😉 Hope you are better than me, else your human might start having bad thoughts like mine about my tummy…!!! Thanks for your visit to my site…you are a looker for sure and I can see how lovely Beaudor would want a date with you…I shall follow with interest and see what comes from this possible union.